Introducing you to the Big D.
You’ve never had an adult Easter Egg Hunt like this before! 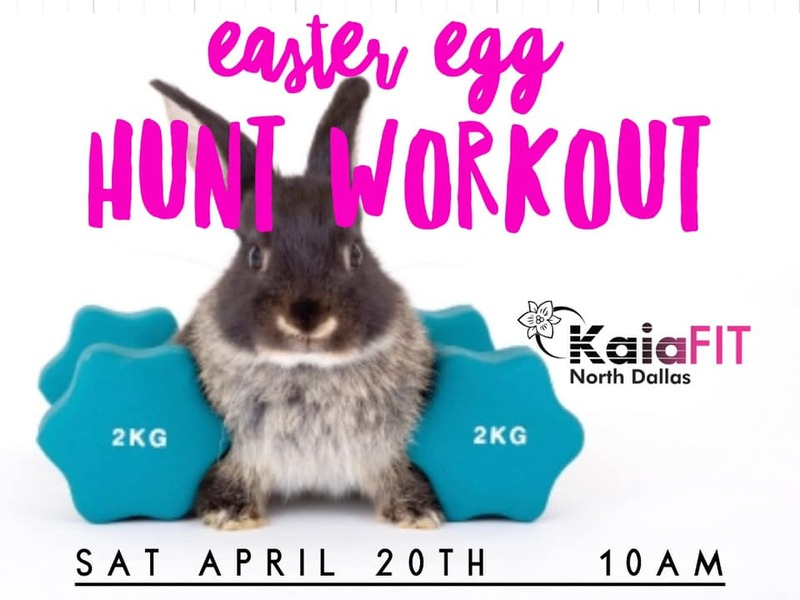 Come sweat it out this Spring in a fun Easter Egg Hunt in Vitruvian Park. Eggs will come with surprise exercises, prizes, and swag! Definitely expect to sweat with the fitness trainers of Kaia FIT! Cool off after with some refreshing collagen water. We will be joined by baby rescue bunnies that morning that you can optionally donate to in the spirit of Easter! Make sure to RSVP and bring a friend. See you there! Easter Bone Hunt & Carnival for dogs!